More and more people are hearing about how we are helping to change lives by harnessing the transformative power of football. This month, we’ve been to Dubai to talk to influential businesses about how we can work together. 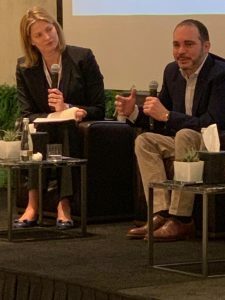 At the Middle East Family Office Investment Summit, our founder HRH Prince Ali Bin Al Hussein spoke to an audience of international business people and investors about Jordan’s commitment to developing communities and improving lives through sport. 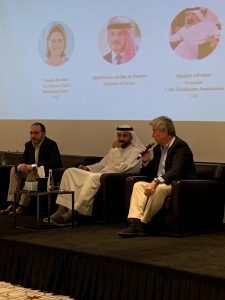 Prince Ali was also joined by our CEO JF Cecillon, together with President of the UAE Triathlon Association Khaled Al Fahim, for a panel discussion about sustainable investment in sport and how this can have a positive social impact on regions and communities, chaired by Bloomberg’s Claudia Maedler. Our thanks to Mr. Mohammad Alduaij and his family office Alea Global Group who hosted and organised a most useful and well-run event. See an excerpt from the panel discussion, in which CEO JF Cecillon talks about how AFDP Global evaluates potential projects, here and read more about how we work with partners to have a global impact that is sustainable here.